For those who know Tofino as a calm and quiet place, a change in pace is coming over the next three days. At the moment, surfers, of all divisions, male, female, groms, short boarders and long boarders, are putting on their wetsuits to qualify for Rip Curl Pro Tofino, which is being held from May 12th through the 14th, at Cox Bay Beach. 150 participants will fight to win the Canadian Surf Association‘s (CSA) National Championship title in their respective divisions. Although, the line up will have pro surfers from Canada’s East and West coast such as Nico Manos, Logan Landry, Peter Devries, Noah Cohen, Hanna Scott and Matea Olin, there will also be a strong contingent from the USA, most notably from the California area. Both talent and tension run high, especially for Peter Devries and Noah Cohen, both natives of Tofino, who hope to bring the title of Rip Curl Pro Champ back to their home turf. The last two year we’ve seen California competitors crowned. “The competitor list is the strongest we have ever seen and we’re excited that Canada’s premiere event is increasingly attracting elite surfers from around the world.” – Nick Russell, Rip Curl Pro Event Director and Rip Curl Canada VP. 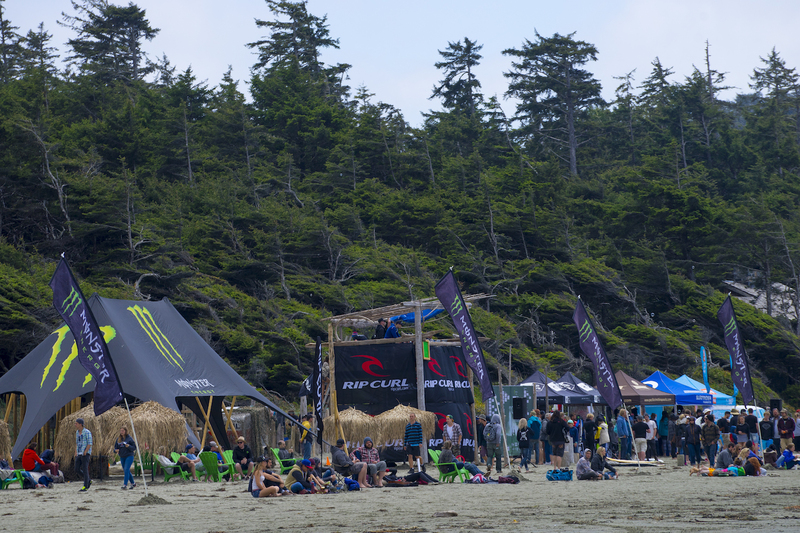 In addition to supporting many athletes as they pursue their dreams, the Rip Curl Pro Tofino is an important part of the surf culture in Canada. Locally, the Tofino area benefits also at an economic level as new business and services have evolved as a result of demand created each year by the event and the growing surf culture that lingers afterwards. “I’ve watched this town evolve over the years, and it’s safe to say that Tofino is now known as a surf town.” Dom Domic. One of OuiSurf’s contributors, also a kinesiologist, Pascale Martineau cofounded the Canadian Adaptive Surfing Committee with Vancouver surfer Gerry Burns, a lover of life, who has been in a wheelchair as a result of a hockey accident. Together, with the support of the CSA, they are working towards developing a program for adaptive surfing nation wide.